The Secret Science Club: Secret Science Club presents Astrophysicist & Author Adam Frank, MONDAY, June 18, 8PM @ the Bell House, FREE! Secret Science Club presents Astrophysicist & Author Adam Frank, MONDAY, June 18, 8PM @ the Bell House, FREE! 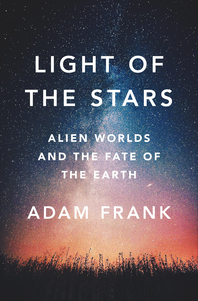 Secret Science Club presents Light of the Stars: Alien Worlds and the Fate of the Earth with Astrophysicist & Author Adam Frank, Monday, June 18, 8PM @ the Bell House, FREE! Astrophysicist, author, and NPR contributor Adam Frank explores exoplanets and off-world atmospherics to gain a better understanding of how Earth is evolving—from the life-giving rise of oxygen 3 billion years ago to the existential threat posed by climate change today. In this far-out talk, coinciding with the release of his new book Light of the Stars, Adam Frank looks at gases on Mars, robotic missions to other planets, and mathematical calculations about the possibility of life elsewhere in the Universe—all for the purpose of gaining cosmic perspective on the fate of our own planet. Adam Frank is co-founder of NPR’s 13.7: Cosmos and Culture blog and an astrophysics professor at the University of Rochester, where he researches star formation, exoplanets, and astrobiology. He is the author of Light of the Stars: Alien Worlds and the Fate of the Earth. This intergalactic edition of the Secret Science Club meets Monday, June 18, 8 pm @ the Bell House, 149 7th St. in Gowanus, Brooklyn (between 2nd and 3rd avenues). Subway: F or G to 4th Ave; R to 9th Street. Doors open at 7:30 pm. Please bring ID: 21+. No cover. Just bring your smart self! Shrouded in mystery . . .
Chock-full of brainiacs . . .
Support the Secret Science Club in 2019 and beyond. SSC is a program of Science Live Productions, a 501(c)3 nonprofit organization. Your donation is tax deductible! To join the Secret Science Club mailing list, send us an email. 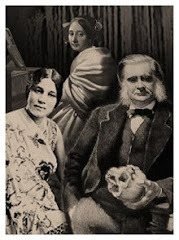 The Secret Science Club is curated by Dorian Devins, Margaret Mittelbach, and Michael Crewdson. Dorian Devins is an NYC-based jazz singer and lyricist, and the former host of WFMU's “The Speakeasy.” Margaret Mittelbach and Michael Crewdson write about nature in the strangest of places; they are co-authors of Carnivorous Nights and Wild New York. HONOR ROLL OF AWESOMENESS: Thank you to our 2019 program donors! Thanks to Our 2018 Pledge Drive Supporters! Trippy! 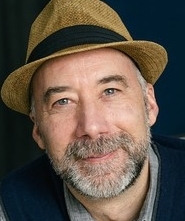 Check out the "after effect" below with visual neuroscientist Ben Backus (4 min, 10 sec) Click here for a less-teeny version. Send in the clones! Biologist Rob Martienssen lectures on super seeds, super weeds, and green energy (47 min, 6 sec). Click the lower right-hand corner for full screen. Science Cafes Around the U.S.